The highly-anticipated launch of Racing Point (previously Force India) 2019 season will be streamed live by Canadian broadcaster TSN on its website TSN.ca and on the TSN app on Wednesday, February 13 from 8.30 pm India time. 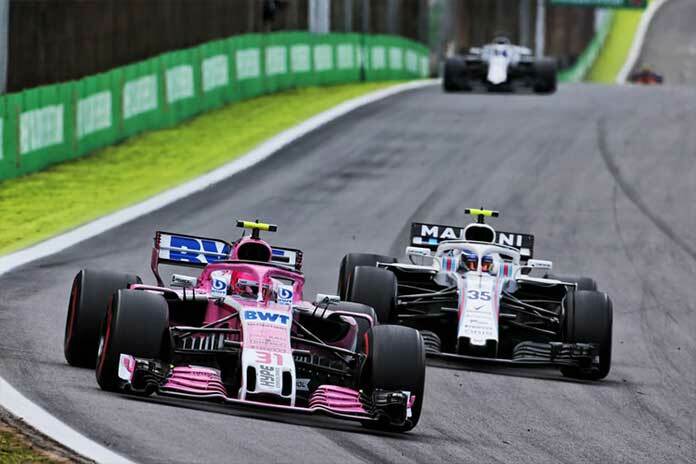 In the UK, Sky Sports F1 will broadcast the event, which is also streamed on RacingPoint.com and on the team’s YouTube channel. The team’s new driver line-up of Sergio Perez and Lance Stroll will unveil the new livery as a pre-show to the Canadian International AutoShow during a special ceremony hosted by Sky Sports F1 broadcaster David Croft. The Racing Point F1 car will be on display to the general public throughout the 2019 Canadian International AutoShow, taking place Feb. 15-24 at the Metro Toronto Convention Centre. For tickets and show information, fans can visit autoshow.ca. TSN’s live coverage of the 2019 Formula 1 season begins with the Rolex Australia Grand Prix on March 14.